Whether you’re completely new to battle royale, or you’ve been on the hunt for those key Blackout tips – this guide will get you ready. Call of Duty: Black Ops 4’s Blackout is proving popular with diehard Call of Duty fans and newbies alike. Blackout works a little differently to the Battle Royale modes found in Fortnite or PUBG. The skills you’ve picked up playing these other games will come in handy here, but there are a lot of fresh ideas in Blackout. Throughout this page, you’ll find general tips for new players and battle royale veterans alike. We have a different one specifically for PUBG players looking to try out Blackout. We’ll be updating this page the more we play, but below is a great collection of hot tips to get you started. For more on Blackout, check out our locations guide, perks guide, and where to find zombies. Call of Duty: Black Ops 4, like its predecessors, takes into account the state of your NAT when matching you with other players. This shouldn’t really affect your connection to Blackout matches – since they’re hosted on dedicated servers – but it’s going to mess with the pre-game lobby. If you’re finding that people can’t connect to your lobby or you can’t connect to theirs, the first thing you should do is check your NAT. Moderate NAT is generally fine, but restricted has the potential to cause these sorts of issues. Players on a mobile connection may not be able to do anything about this, but those with fixed broadband could. Open NAT is the best, of course, but it may not always be an option depending on your setup. If your console or PC is connected to the internet through Wifi, see if you can get it wired. Wifi connections can sometimes cause NAT issues, and it’s one thing you’ll want to get out of the way first. 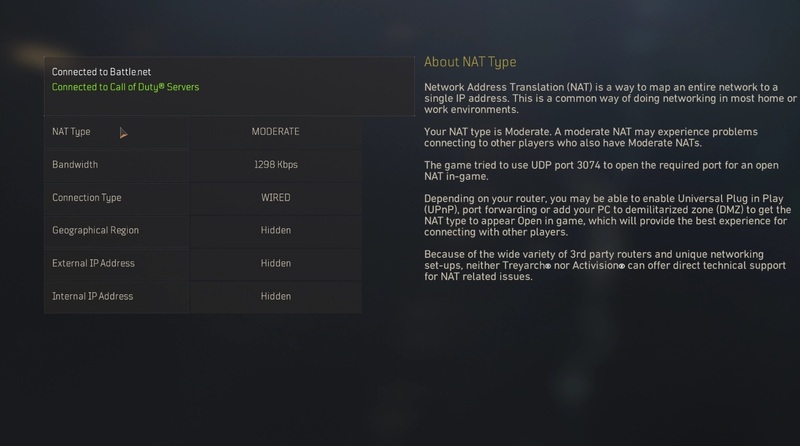 Generally speaking, a restricted NAT can be fixed by port forwarding Black Ops 4’s specific ports in your router. This process is different for each brand and model so check out this site for detailed guides. It’s not impossible to play with a restricted NAT, but be prepared for some wonky lobby behaviour for you and/or your friends. 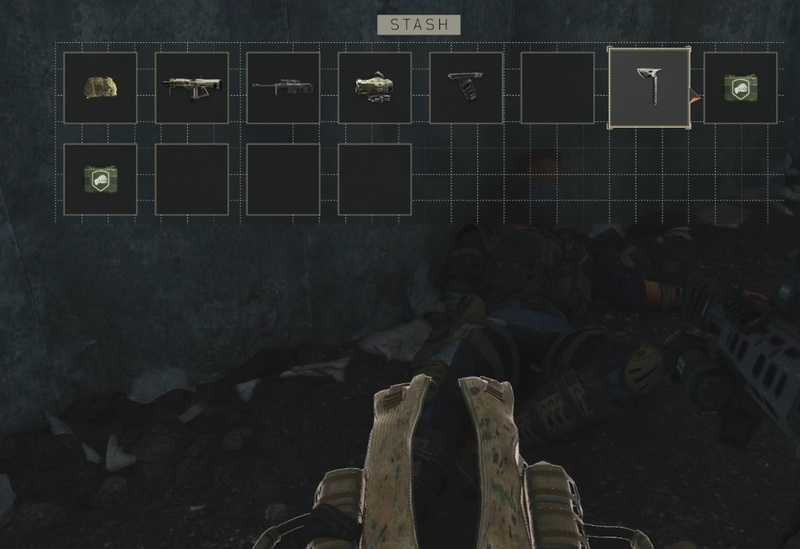 One of the very first things you can do in a Blackout match is to find out how many players are dropping in the spot you’ve chosen. 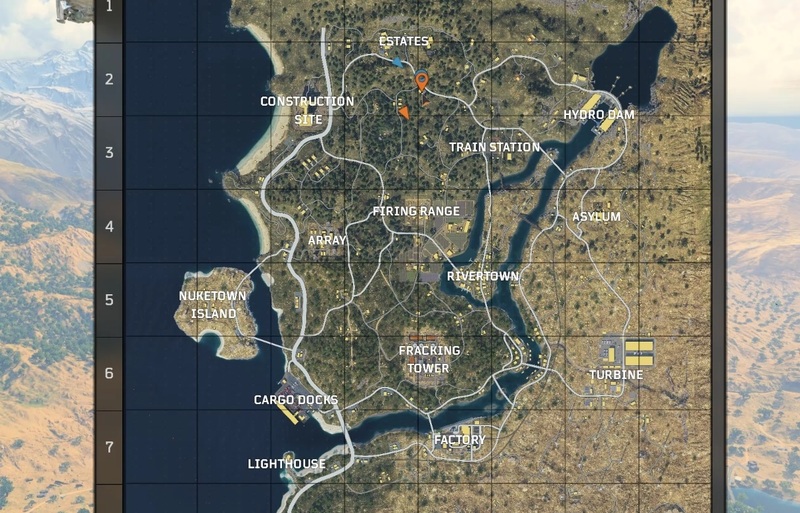 If you’re picking a hot drop like Nuketown Island, Firing Range or Construction Site there may be too many to count. However, if you’re hoping to start things off quietly at some unnamed spot, you’ll need to know if anyone else has the same idea. A quick way of checking is to use the free look function, mapped to middle mouse/L2/LT by default. This gives you an unrestricted 360-degrees look at your surroundings. Even if you know other people are dropping with you, it helps to get an idea of just how many and how close. In these cases, free-look is indispensable, as it allows you to divert at the last minute based on what you see. Free-looking doesn’t change your direction, so you can point your character down and survey the area on your way there. This feature is only available while dropping in, however, so don’t expect to do the same after hitting the ground. Treyarch wasn’t lying when it said that Blackout’s map is the biggest in Call of Duty history; that much is clear. But compared to Fortnite, and even PUBG’s smallest map, it’s not very large. That’s just the raw measurements, of course, but it doesn’t tell you how sparse or plentiful the action is going to be. In practice, a smaller map size means you’ll be able to reach way farther after dropping than you would in those games. A flight path that cuts through the middle essentially guarantees you could hit any spot on the map. Of course, this also means that it’ll take you longer to drop (compared to other BR games) if you’re heading straight down. It’ll take time to master straight and long distance drops, so keep at it. Because the 100 player count hasn’t changed, you’re bound to run into many of them more often, so hot drops are really hot. Beyond that, the more limited play area puts less of an emphasis on camping because it’s typically easy to run into the zone if you get caught outside. This will definitely take some getting used to, especially if you’ve been playing a lot of PUBG. 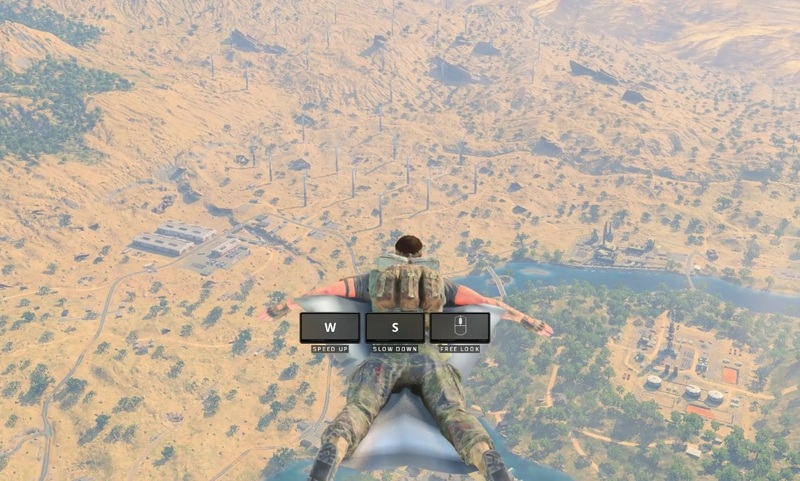 In Blackout, like other battle royale games, you ideally want to always be inside the white circle. This is, without question, the safest way to play the mode. You’ll potentially have a less exciting game because of it, but being in the white circle means you’ll have more time than anyone outside to react to circle changes. It may end up closing in at your current location, even, all the better. You can certainly hang around between the edges of blue and white, but be prepared to get back in at a moment’s notice. That said, you should keep in mind that players running in late are the easiest to kill, since they’d have to fend off enemy shots and escape the blue at the same time. 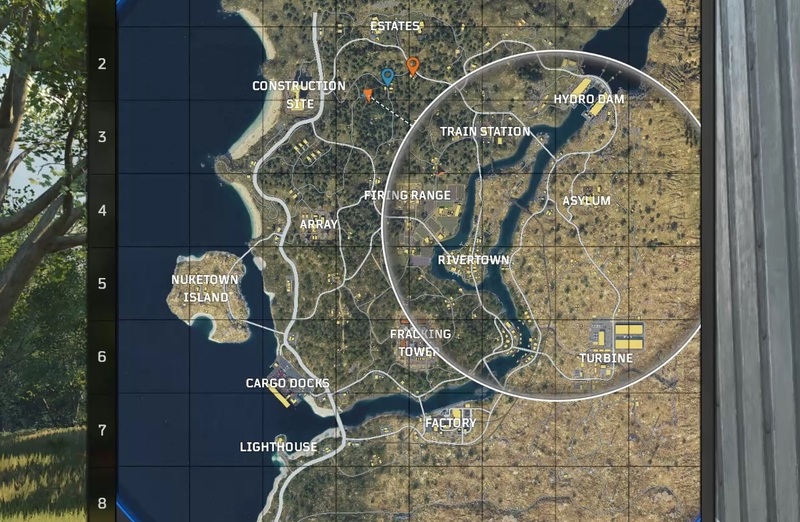 This doesn’t mean that you should just hide in a bathroom the whole game (unless you want to), it just means that your chances of getting caught outside the zone will be greatly reduced if you always try to stay inside the white circle. When a new circle shows up, get moving. Blackout simplifies the healing systems found in Fortnite, and in PUBG to a greater extent. You don’t have an overshield or even a shield of any description when it comes to healing items. There are no boosts, either. Bandages and medkits both can take you from one to 150 HP, the only difference is how many of each you need to get there. Bandages heal for 25HP, whereas medkits heal for 50HP. Trauma Kits are much rarer, but even more powerful. This is the only item in the game that can get you to 200HP – 50HP beyond the typical starting health of 150. If you have one, use it immediately. We can all use the edge in a firefight, and having more health than the other player helps with that. These are the three items you’ll have to worry about but don’t fret, bandages and medkits are plentiful so it’s only really a question of how many you want stacked in your inventory. 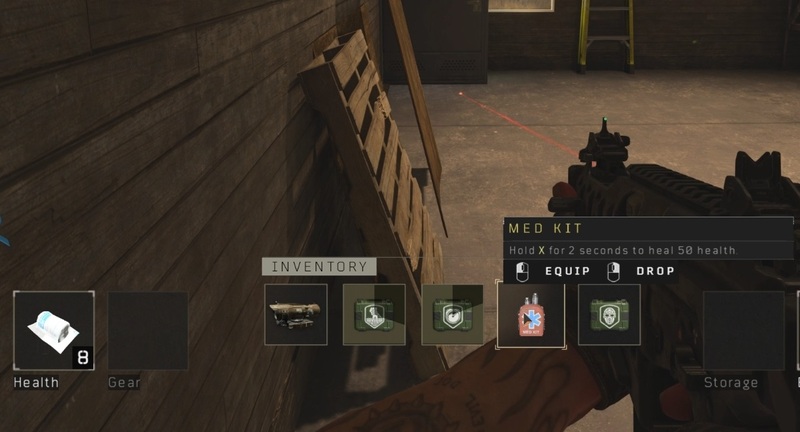 Blackout allows players to have two items ready to be activated with the press of a button. One is equipment and the other is a healing item. Healing is found on the left next to your character portrait, and lethal is on the right. You should always keep your largest healing item equipped. In a heated firefight, you want to get back to as high of an HP level as possible. There likely won’t be enough time to slowly apply four or five bandages. Firefights also don’t usually leave you enough time to go into your inventory and switch them up. Whenever you’re not in a rush to heal, such as after scoring a kill, bring bandages back into the slot and top up. When you’re done, assuming you have any left, switch back to a med kit. Perks and the synergies between them is one of the most interesting mechanics in Blackout. They are inspired by traditional multiplayer perks you will have seen in the past, though their functions here aren’t always identical. Using a perk to give you the upper hand in a situation is one thing you’ll need to be good at. Having silent footsteps as you approach a compound you know is being camped is a godsend, just like being able to heal yourself and revive teammates faster can be in the late-game. You should always go for the perks you know you’re going to need, but don’t be afraid of discarding ones that no longer have any use. It can be overwhelming at first to keep track of all perks and what you may/may not need, but here’s an easier way of approaching this dilemma. Only pick up the perks you know you’re going to make use of, don’t just hoover up everything you find. Looter, for instance, highlights loot through walls, but you may not need it if you have friends calling out every piece of surplus gear they find, or you’re done looting for the round. If you’re not planning on being outside the zone for long, Outlander has very little value. By the same token, Brawler is almost always useless unless you’re going for some sort of punching challenge, or you find yourself stuck with no weapon at the very start. There are several universally useful perks like Mobility, Dead Silence, Consumer and a few others. Over time, you’ll learn to identify perks by their icons from a distance and only go for the ones you know you’re going to need. 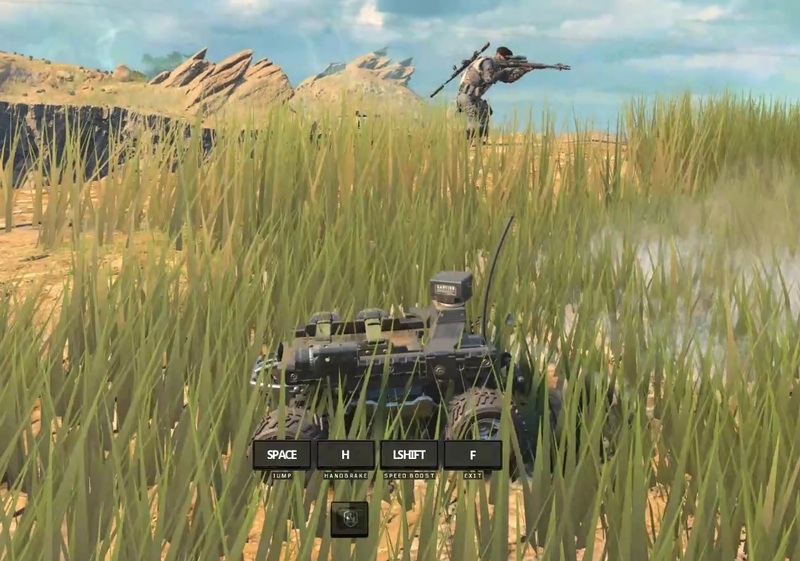 Blackout has a host of multiplayer items that be used both defensively and offensively. We all know what to do with the various different grenades and the Combat Axe, but what about the rest? A sensor dart can reveal the real-time location of enemies on the map for a few crucial seconds – in a small area. 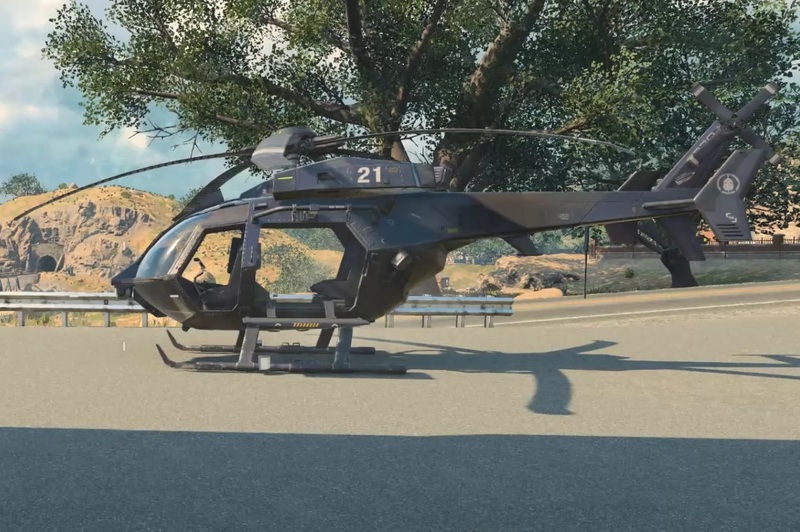 But attach it to a vehicle – helicopter especially – and drive/fly around to scout for your teammates. You won’t have to call out targets because your buddies will see exactly where they are. The RC car can similarly be used as a scouting tool, and be even more effective when it has a sensor dart on it. In fact, because players have been getting killed by RC XDs for years in Black Ops games, they’ll instinctively jump out of the way or try to destroy it when they see it. The version in Blackout doesn’t go boom, of course, but by the time your clueless opponent realises that your teammates will have already moved in for the kill. Blackout’s meta allows for experimentation, especially this early on. During the beta, some players used a deployable shield as mobile cover while others utilised its microwave function to fry enemies they had boxed in. Once again, players may all know what each item does, but not everyone can react quickly enough to what’s happening. You should also keep in mind that if your enemy doesn’t see scouting tools like the sensor dart or RC car, they won’t know what hit them when they get pushed. It can be frustrating to be on the receiving end of that, for sure, but it feels good to have information your enemy doesn’t and use it against them. This is more of a PSA than a tip but it’s something you’ll need to keep in mind nonetheless. 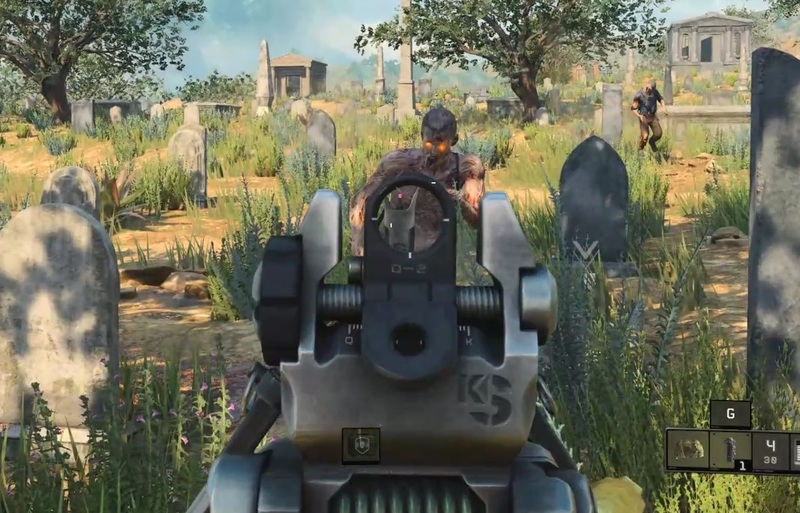 Headshots are incredibly deadly in Blackout in general, but more so when they’re dealt with a sniper rifle. Only level three armour can protect you from one-shot headshots, but since it’s rare, you’ll have to pop and weave if you suspect the enemy looking at you is using a sniper rifle. Bullet drop is not as massive as you’d imagine so nailing those headshots is relatively easy for Call of Duty players. This can work in your favour, of course, if you manage to land headshots yourself. If you see a stationary target, pull out your sniper rifle and pop ’em in the head before finishing the job with your other gun. In squad games, it can sometimes be helpful to have a designated sniper that can distract enemies while the rest of the squad pushes. Connecting with a Combat Axe throw is one of the most satisfying things you could do in Blackout. Combat Axes are one of many pieces of equipment in the game, but they’re the deadliest. If you manage to get your axe to hit a player, they’re going to go down instantly. The trick is timing it right, of course, and accounting for the drop. Spoiler: it doesn’t go very far. But the good news is that you can pick it up from where it fell and try again. If you get knocked out by another player’s axe, know that they’re either very lucky or very good. Blackout really doesn’t like it when players are stuck outside the safe zone, marked by the blue energy field. If you find yourself outside the blue as it starts to close in, take a moment to assess whether or not you need a vehicle. Vehicles, while faster, will degrade the more time you spend driving/flying outside the zone. Depending on how far outside you are, you may want to just book it on foot and not worry about getting in a car or helicopter. Movement speed in Blackout is high, and the map isn’t massive. It’s also worth noting that the state a vehicle is in may not always be clear. It may look like it’s about to blow up when in reality it could get you in safely. The inverse is also true. The more you play Blackout the easier judging those distances will become. 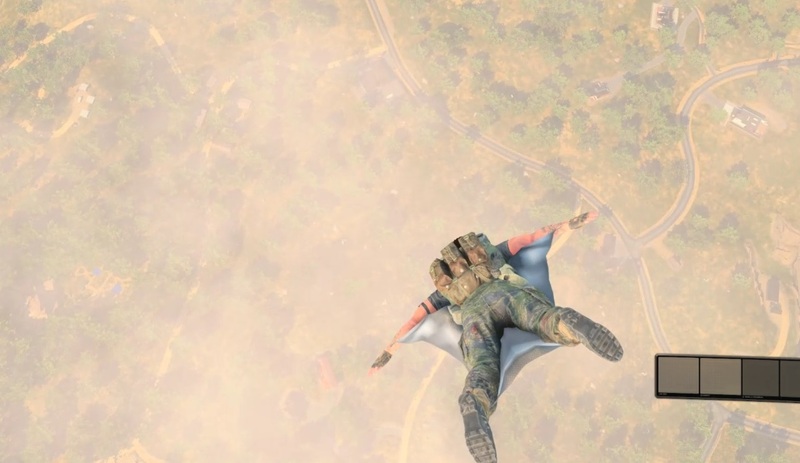 Like parachutes in the Battlefield series, Blackout allows players to bring out their glider mid-match. That’s the same one you used to land at the start. The trick, however, is that you can only do so from substantial heights. Things like the dam at Hydro Dam, or the under-construction tower at the Construction Site. To pull it off, get a running start and hold the jump button the second you leave the platform. If you don’t hold the button, you’re going to faceplant and it’s not going to look good. If you’d rather not risk it, use the stairs or an elevator. If you come across a weapon with a gold hue/aura around it, it’s usually a good idea to pick it up. Unlike Fortnite, however, gold weapons don’t have improved stats. In fact, they do not differ in any way from regular weapons in damage, accuracy etc. 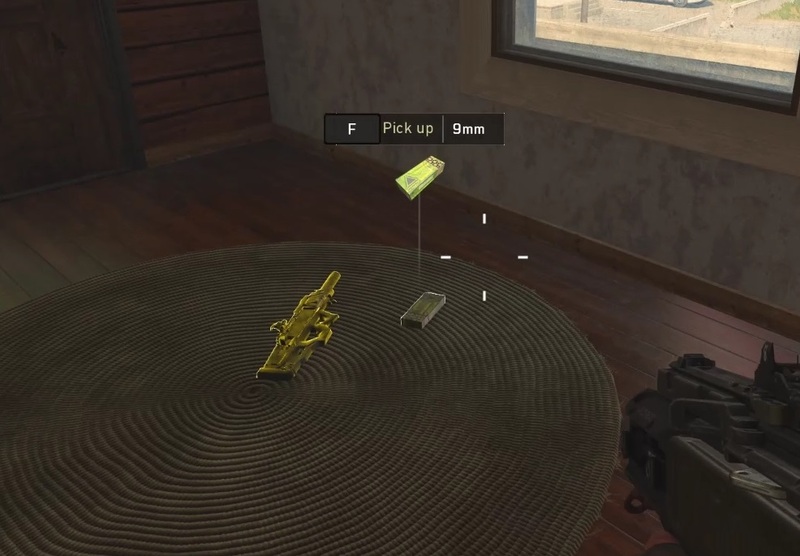 The key difference here is that gold weapons in Blackout come with all of the best attachments pre-equipped. A fully decked-out Paladin sniper rifle is a killer, for instance, thanks to its suppressed barrel and long-range scope. Of course, if you already have the same weapon with all attachments equipped – or with the ones you prefer – there’s no point in grabbing the gold one off the floor. Killing zombies can be a great way to get good gear in Blackout. 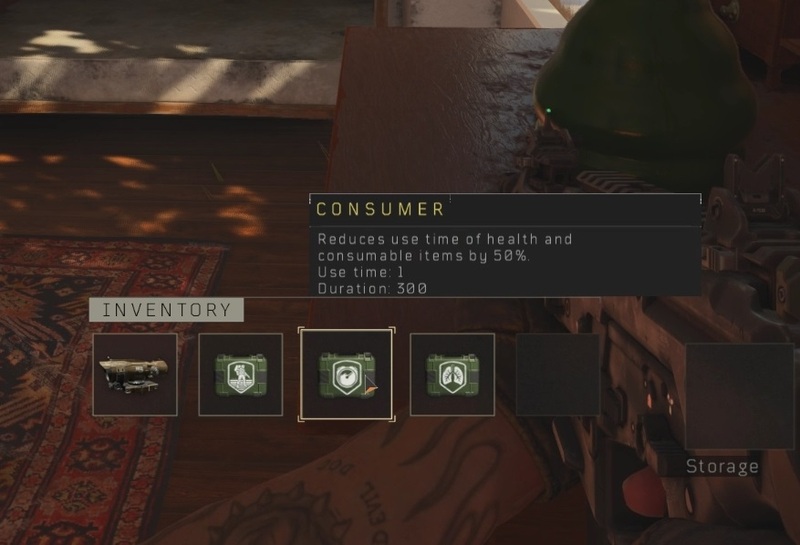 Every zombie killed drops an item, be it an attachment, healing, ammo or grenade. It can sometimes be useful to head to a Zombie location and reap the benefits, but be aware that this is a big risk. It’s going to take you a bit of time to clear out the area, all the while enemies can hear your shots and – thanks to the ray of light in the sky – know exactly where you are. This inevitably invites confrontations with other players. Some may camp outside and wait for you to finish off every last undead, while others will flank you for an easy kill while you’re busy with zombies. Zombies also aren’t easy to kill, and if you’re lucky enough to get a boss, it’s going to take even longer. Special loot chests typically spawn at Zombie locations, however, and they offer loot not found anywhere else. Bosses also drop rare loot, and if you manage to clear out the entire zone, you’re looking at enough loot for two squads. It can be a fun challenge, especially if you drop at one of these spots at the start, but it has the potential to hurt you more than it helps. 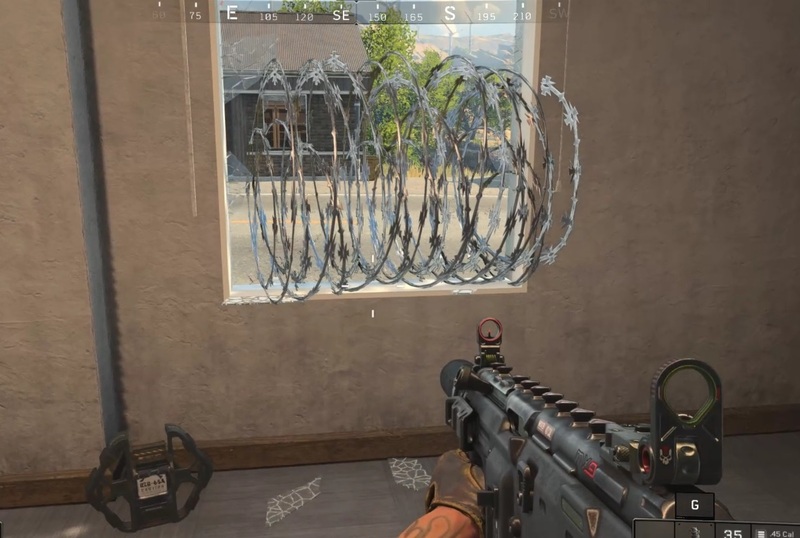 The Razor Wire is one of those situational pieces of equipment in Blackout. If you must camp a house or a room, plopping or more down will cause enemies who get caught in them to lose HP over time, not to mention be easier to kill thanks to how it gets them stuck. Smarter players won’t fall for that, but that can still work in your favour. If your opponent sees the wire, they’re not going to go through that doorway or window, which means you have fewer points of entry to worry about. If they try to destroy it, they’ll make noise and alert you. One particularly sneaky way of using the Razor Wire is to activate it near a window. The game will automatically deploy it in the window frame rather than on the floor, which will make an attacker’s life a nightmare if they try to vault through it. Another great way of utilising the Razor Wire is to use it as a diversion. If you activate it near a doorway in the late stages of the match, players will almost always assume someone is hiding in that room/building. Use this to your advantage. Put it down near an entry point that you’re watching from a distance, and watch as the enemy tries to figure out which part of the building you’re camping in. While they’re trying to listen in for footsteps, pop ‘em from your safe spot and chuckle. Of course, grenades and a few melee attacks will destroy it, but that takes time and makes noise.